Tofu Pad Thai – Simply Sundays! Everything is in place. Let’s start to cook! You have to taste one. Now let’s all say thank you Amy for sharing your crispy tofu secret! Yum! 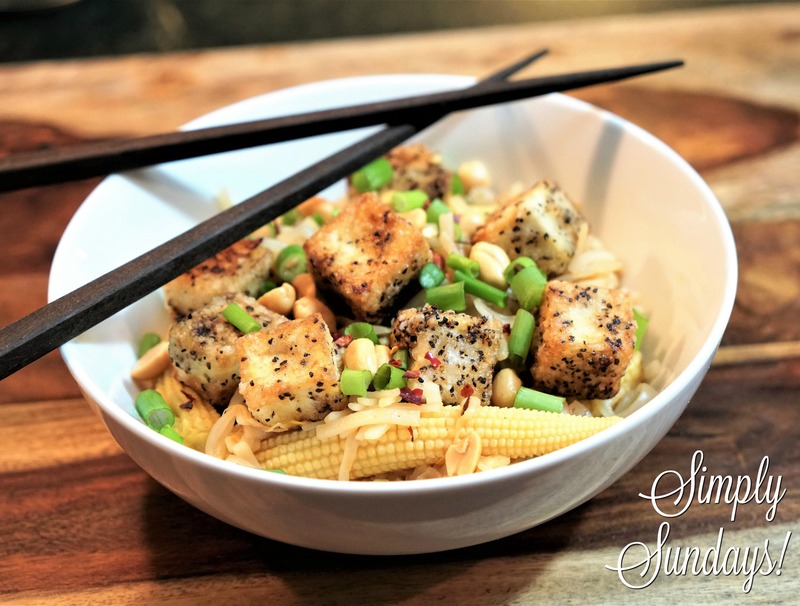 Crispy tofu over seasoned pad thai noodles with crunchy nuts and fresh scallions?? YUM!